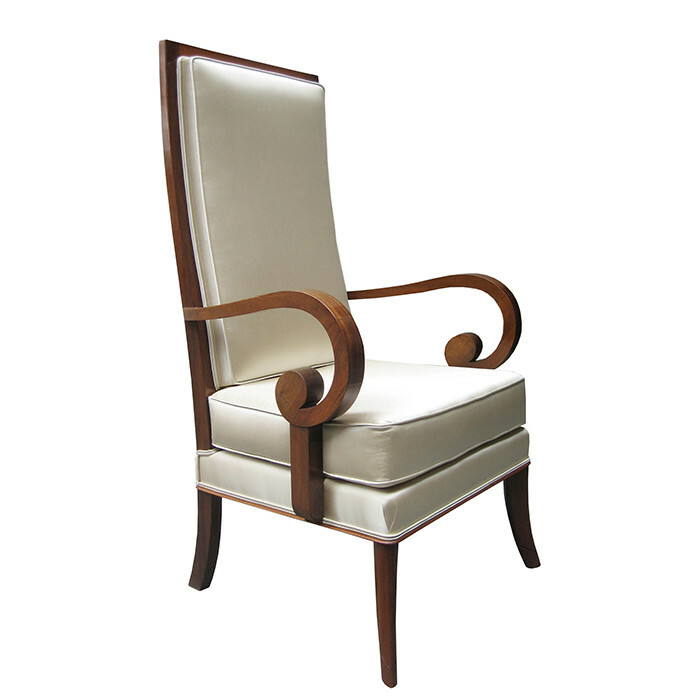 Description: An Art Deco tall back armchair with scrolled arms designed by Etienne Henri Martin. French Walnut. Dimensions: H:49¼ W:27½ D:25 Seat H:20 Inches.